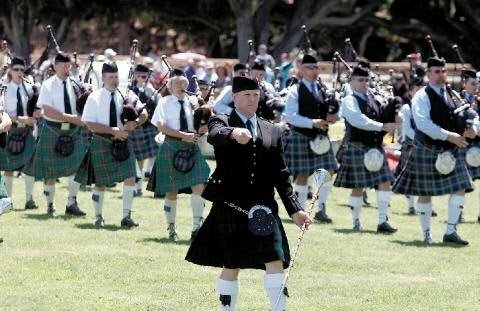 The Monterey Scottish Games & Celtic Festival brings the music, dance and athletic events of the mystical lands of Scotland and Ireland to Monterey County. The two-day event features fun for the whole family at the Monterey County Fair & Event Center. Come and enjoy variety of live Celtic entertainment with exciting massed pipe bands on parade, including many award-winning California-based pipe bands, thrilling Drum Major Competitions, talented Highland and Country dancers, special entertainers, athletes competing in the famous Caber Toss and more, dozens of clan tents, whisky tasting seminars, delicious Celtic food, great jewelry, swords, kilts, crafts and more, sheepdog and duck herding, forging demos, kids games and much more. In addition to traditional pipes and drums, dancing, and a variety of exciting athletic competitions, the Festival is a celebration full of demonstrations, performances and musical entertainment related to many fascinating aspects of Scottish and Gaelic culture.